Living on a remote island that lies on the also remote Eastern Shore, a well stocked pantry is essential to me. Sadly, it’s usually in a state of utter chaos and dissaray. And that’s a super bad thing, because half the time I forget what I have in there in the first place – and by the time I find it again, it’s gone and expired. So, when the good folks at OXO and The Container Store asked me to be a part of their POPtober Campaign, I couldn’t say no. Since moving to the island, I’ve had a really hard time keeping things fresh. I’ll open a bag of tortilla chips, and by the next day they’ll be stale (pretty sure that it has something to do with all the moisture we have in the air here), and I knew that OXO’s air-tight seals would be an answered prayer! And as I’d mentioned above, my pantry was in desperate need of a makeover to begin with. 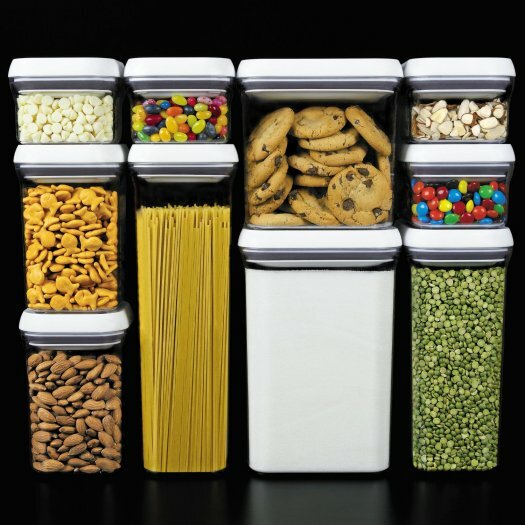 They were kind enough to send me a 10-Piece POP Container Set, as well as several sizes of their POP Cereal Dispensers. The square and rectangular shapes fit together so snugly and are so pleasing to the eye. They’re stackable as well, which makes them super space efficient. I also love that they’re able to be opened with one hand, something that I have to do so often these days with baby boy #3 in tow! I couldn’t believe how many bunched up little baggies I was able to toss out, and instead have the contents up front and visible. Where they can be seen, and used – instead of forgotten about. It’s been a week since the revamp, and I’ve not had any issues with cereals or crackers that have been opened being stale – they’re just as fresh as the day that I opened them. So of course I’ve added quite a few more of the OXO items to my wishlist on Pinterest. Are you paying attention, Santa? Follow Laura (Tide and Thyme)’s board POPtober on Pinterest. I thought I’d also give you guys a run-down of what I think are essential pantry items. With cold and inclement weather sneaking up on us – it’s good to have basics like these safely stashed away. With all these items on hand, you could whip out a delicious meal in no time at all! 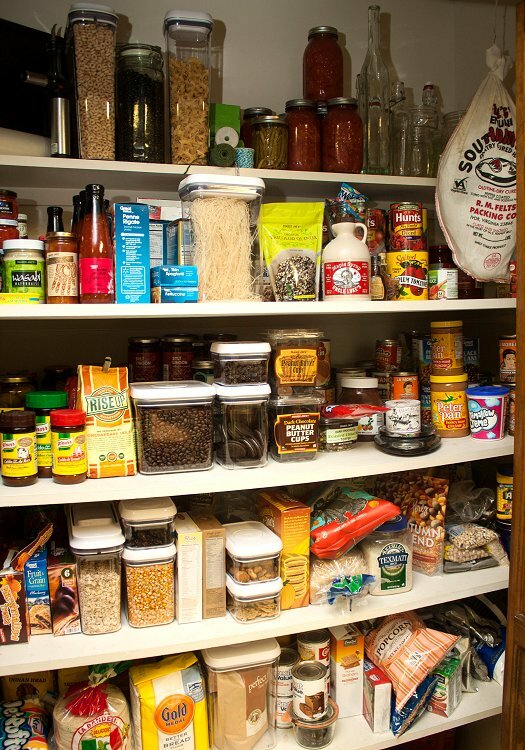 Now, are you ready to go and tackle the organization monster in your pantry? OXO wants to help! Starting today, OXO is hosting a Facebook Giveaway that runs through Friday, October 31st! Enter to win a prize pack worth $500, including your choice of OXO Storage & Organization tools (up to $250), as well as a $250 elfa gift card. Make sure you scoot on over today for your chance to enter! Disclaimer: I received a set of canisters from OXO for review. As always, all thoughts and opinions are my own. Thanks for sharing your pantry must haves. I’ve been considering purchasing some of those OXO containers!